It’s a surprisingly nice feeling when someone appreciates your work enough to actually buy it! The piece was donated to our local library fundraiser–I decided to donate my sale 100% to the library–somehow it seemed the best thing to do considering I don’t sell my work yet. It wasn’t a high ticket sale, but so nice none-the-less to have another person enjoy it. I am working on a bunch of really tiny pieces…4×4 cradled panels. The square is an interesting challenge–so far the work all seems to go well together–sheerly by accident, but I think that they will look good hanging together. Because I can’t settle down and just keep going with one medium I am also trying out some oil paint on wood panel. Still experimenting with the encaustic–maybe it’s always going to feel that way. This piece I decided to just have fun with. 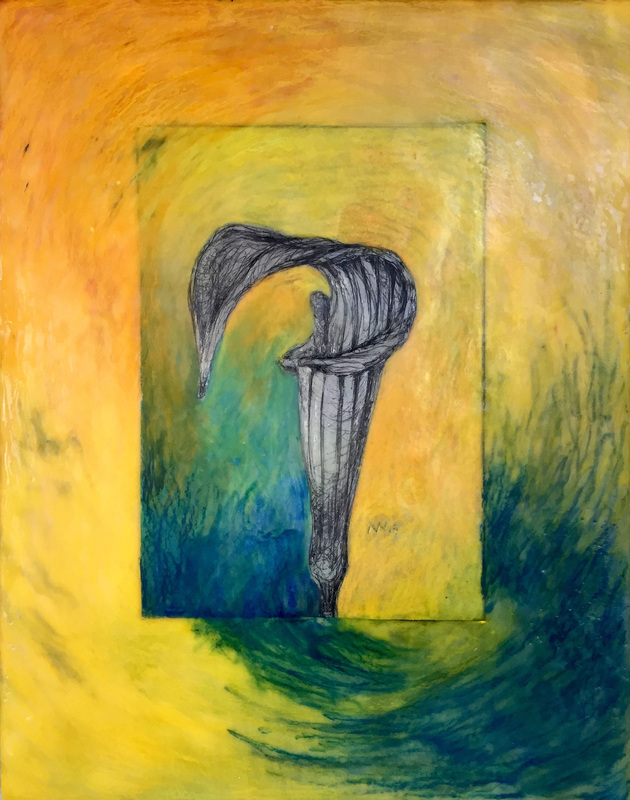 I am starting to get the hang of the layering of color–the main image I scraped out with an old dental instrument–I was pleased with the way that worked out. 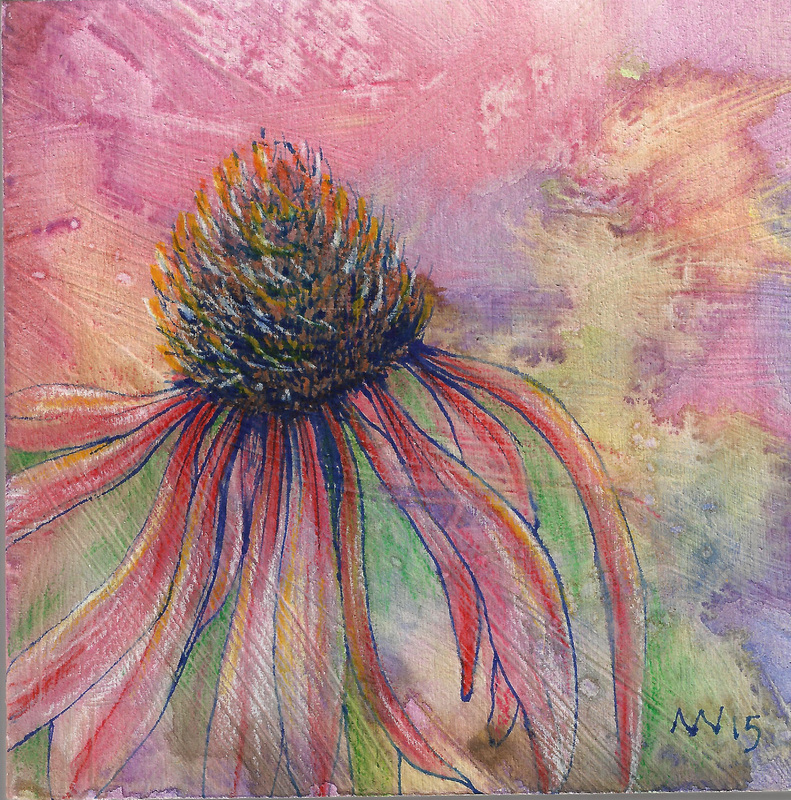 I want to move on and do a series with the cone flowers that are blooming. I have discovered that working plein air is actually pretty wonderful…but they aren’t going to last as long as I need them to! 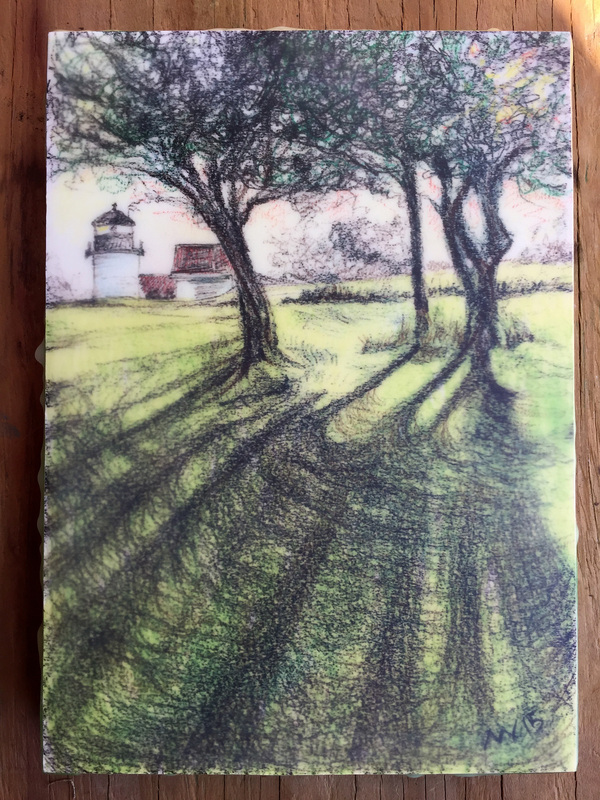 Afternoon Shadows at Fort Point Lighthouse: SOLD!!! 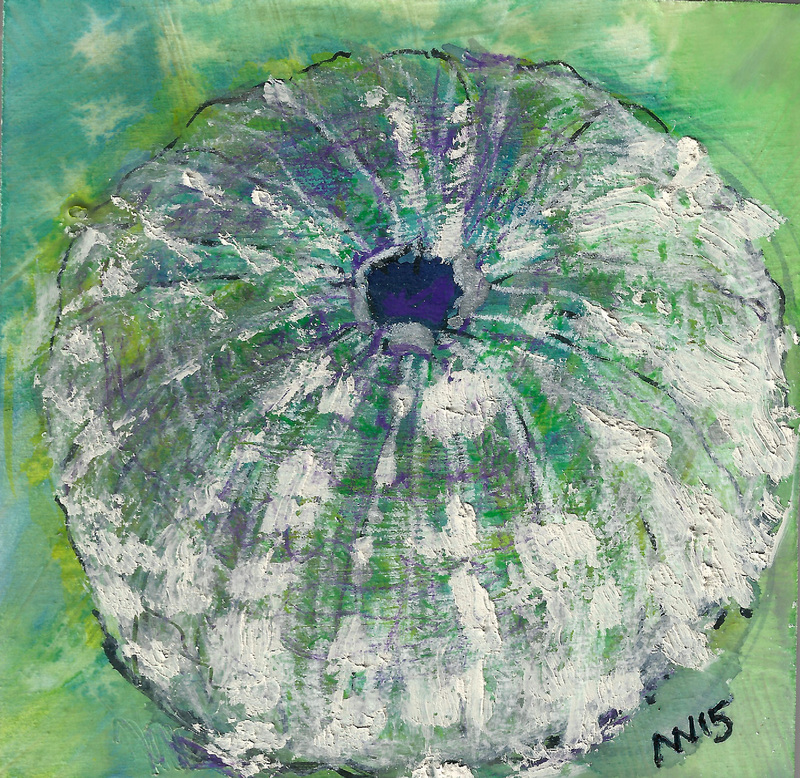 This entry was posted in art, colored pencil, encaustic, flower, lighthouse, nature, small paintings and tagged art, art experiments, colored pencil, cone flower, encaustic, flowers, FortPoint Lighthouse, shadows, urchin. Bookmark the permalink. thanks Karen. I really was surprised at myself regarding the sale–felt very nice. The cone flowers have such great shapes and color–and they are readily available! I like your paintings very much, especially the cone daisy and the shadow trees – just beautiful! Gorgeous, particularly the coneflower. Congratulations on your sale! Your work definitely deserves it. thanks Laura, I appreciate the feedback 🙂 I love the coneflowers! I need to draw a bunch over the next few days before they dwindle away.